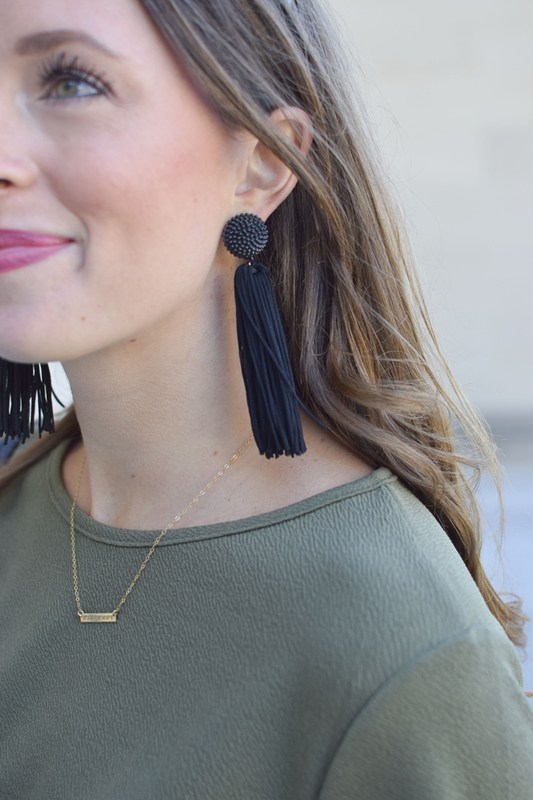 Psst this list is shoppable... just click on the item you want to purchase! This list is so random... but that's kind of how browsing on Amazon goes, right? I've purchased everything from toilet paper to makeup on this dang site that we're all so obsessed with! But the thing with it is it's just addictive! It's like the shoppers version of Pinterest - you just can't stop clicking around! I've found some really cool, unique things for Christmas this year. Things I can guarantee you won't see on anyone else's gift guides :) [and if you do then I guess they have great taste haha]. Kopari Beauty Kit // I have seen every single person raving about Kopari products! They're made in the USA and with 100% organic coconut oil. This kit is the perfect way to test out some of their products before buying full size. Pet Hair & Lint Remover // My mom and grandma have lint rollers in every purse, bathroom, closet, and even their cars. It's an obsession that has been passed down to me because I keep small travel lint rollers in all of my purses and my desk at work! However, I HATE having to buy refills when I run out... enter this little find when browsing for a solution on Amazon! This insaaaane creation requires no refills! Travel Size Steamer // Another purchase that I've convinced every single person in my family to buy. They saw mine and how powerful it was and my mom and grandma made me order one for them on the spot - each (and they live together haha)!! I don't travel without this and it's so small I barely notice the space it takes. Coffee Table Book // Kyle has this coffee table book and will actually sit there and read it. This is perfect for the guy in your life who is curious and likes doing things themselves. It's a nice touch to bring some masculinity to a coffee table if you live together ;) It lists basic things like getting red wine out of clothes, making your own detergent, and obviously how to split wood and shuck an oyster! Travel Wine Cups // I received these cups from Kyle's parents last year and use them all the time! They're perfect for a picnic, drinking wine in your all white bed (oops), and even going on a walk with a friend! I plan on using them on the boat next summer to keep cocktails cold! Marble Oil Diffuser // Oil diffusers are all the rage this year! Some of them are kind of ugly looking (sorry) so I instantly fell for this marble looking one. Would be so chic sitting on a kitchen counter! Chefman Immersion Blender Set with Attachments // I have wanted an immersion blender for years now... this is at the top of my wish list right now! There's something amazing to me about homemade soups and I am ready to take on the task!! Plus the attachments have a spiralizer! Echo Smart Speaker // This is an INSANE speaker with Alexa!! So you get two in one! Keep this in your kitchen and you can ask for help with recipes, measurements, etc. It's amazing everything this little thing can do. So powerful! Sphere Ice Molds // I love the easy design of these. Perfect for the cocktail lover in your life! Reusable Snack/Sandwich Baggies // I was given these maybe 5 years ago and I still use my original ones! I've even purchased more since I'm always packing snacks for work! It's a simple way to help the environment and cut back on plastic. They're also dishwasher safe! Ice Scraper Mitt // If you know... you know... scraping ice is cold and miserable. This glove makes it a little easier! Smart Plug with WiFi // I'm dying for one of these so that I can tell Alexa/Google Home/Echo/Whatever else to turn my lights on when I walk in the door. This would be great for parents who are getting older! Hair Tie Bracelet // For those ladies who always have a hair tie on their wrist with unsightly elastic marks from it being too tight! This is perfect to keep a necessary item on your wrist in a stylish way! Brush Washing Mitt // This is only $6 and you'll want to wash your makeup brushes every week! It's a really great habit to get into to protect yourself from bacteria. Jade Roller // One of my favorite morning and night routines is using a jade roller on my face to help with puffiness. It's a great way to help your skin soak up your moisturizer and it's super relaxing. Kind of like a facial treatment at home! This one comes with a piece of jade that's perfect forgetting your under eye area. 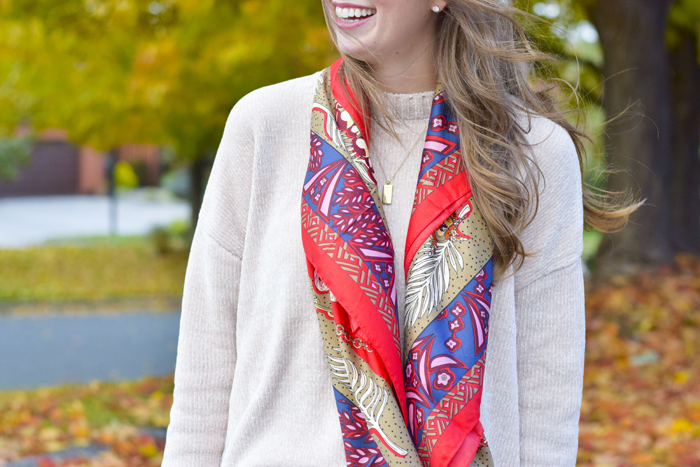 A red silk scarf paired with the coziest sweater ever = match made in heaven! How is everyone's week going after Thanksgiving? I feel like the week after having a couple of days off is always difficult. A full 5-day work week can just wear you out sometimes! I hope that's not just me?! I had a rough start to the week - I wasn't sleeping well and I hadn't heard from Kyle in a couple of days. He's out on patrol right now so our communication is limited to email. I think it's been a little bit harder for me this time because of the holiday season! I love doing all things festive and walking around to see the lights and decorations like we did last year together :) But, I just keep reminding myself that he'll be back by Christmas Eve! 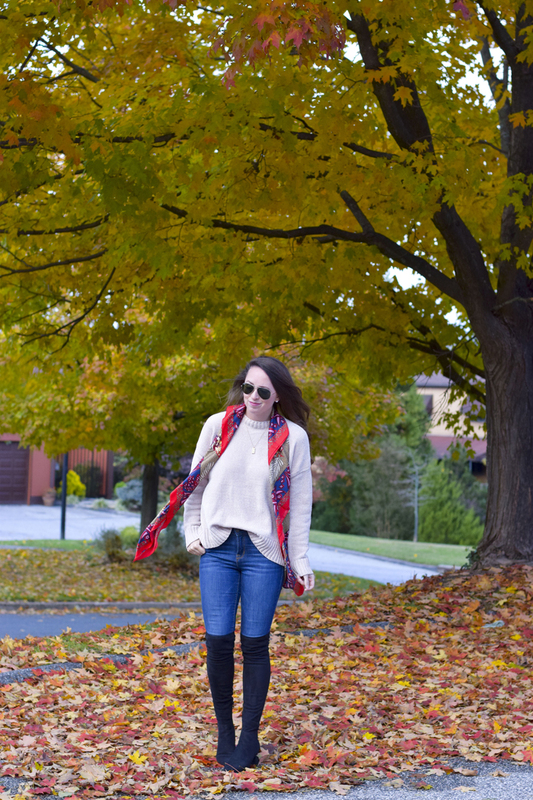 I fell in love with this scarf in the summer and knew I needed one in seasonal colors too! It's so well made and the fabric is silky soft like butter. 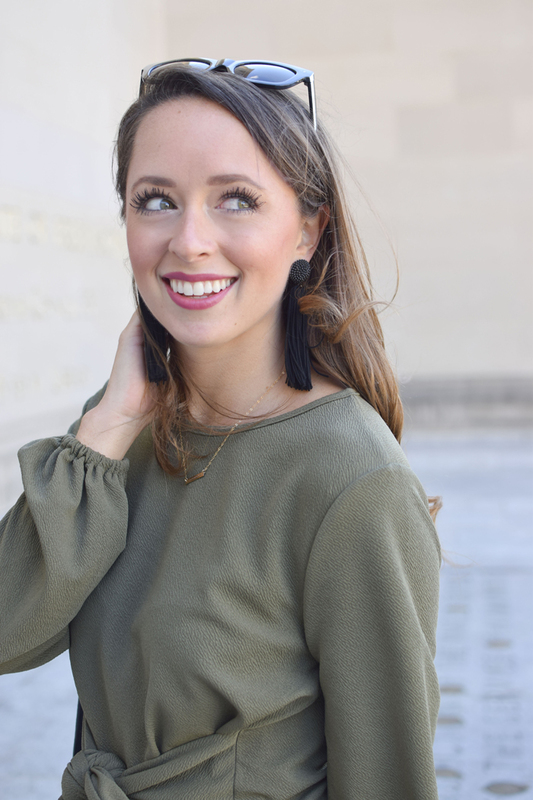 The fabric is lightweight (so you could wear it in the summer) but if you wrap it around your shoulders it can still keep a lot of warmth in! 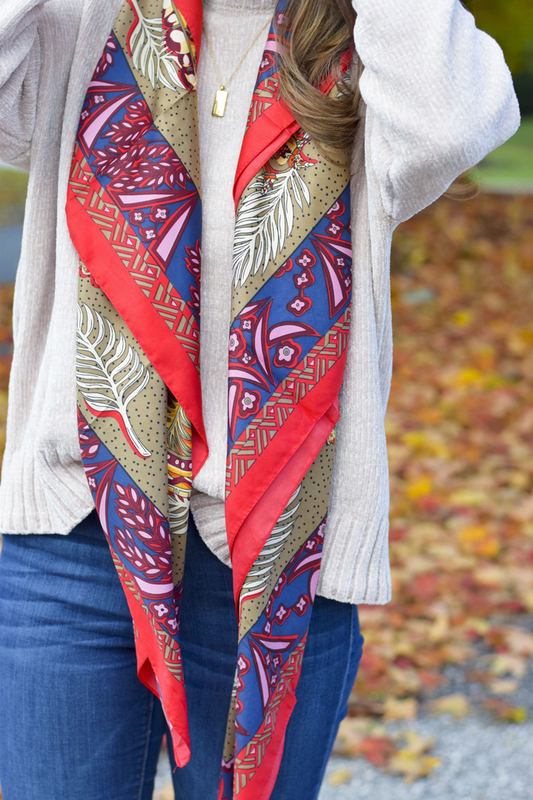 It's the perfect accessory to any casual or dressy look. 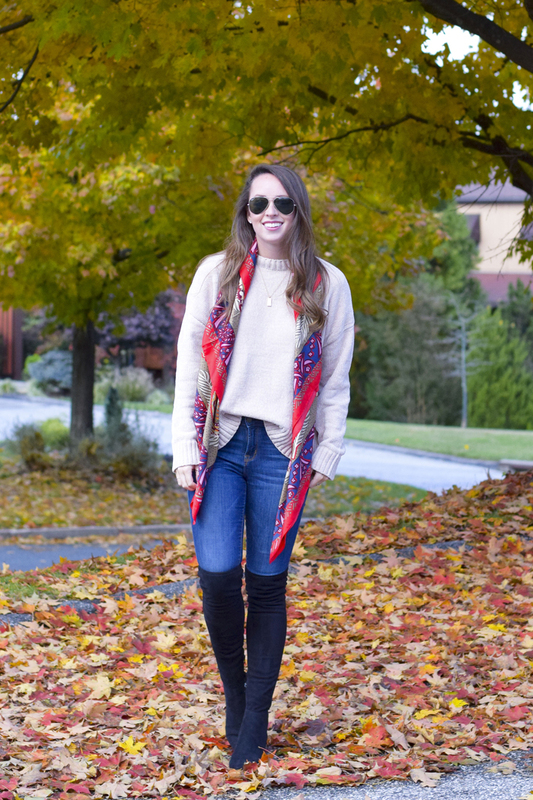 The colors are so rich and vibrant that it can truly become the statement of an outfit. I love wearing it right now because it gives a bit of subtle Christmas cheer without being over the top! 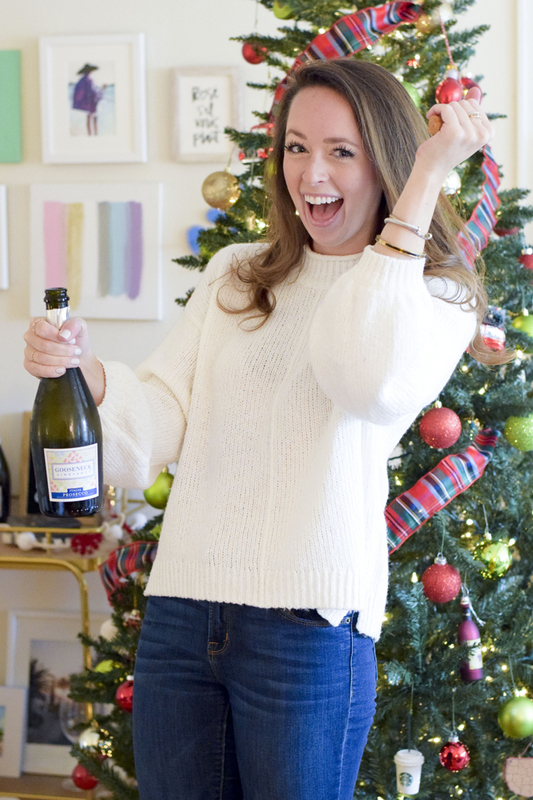 Y'all have heard me rave about this sweater for weeks now... I know I've shared it on Instagram multiple times :) the chenille fabric is so soft (that's kind of the theme of this outfit hehe) and I like the boxy oversized fit of the sweater. I tucked it in in the front to give my waist some shape and character to the outfit. Paired with jeans and my OTK boots it's a grab and go outfit that makes you look very put together. 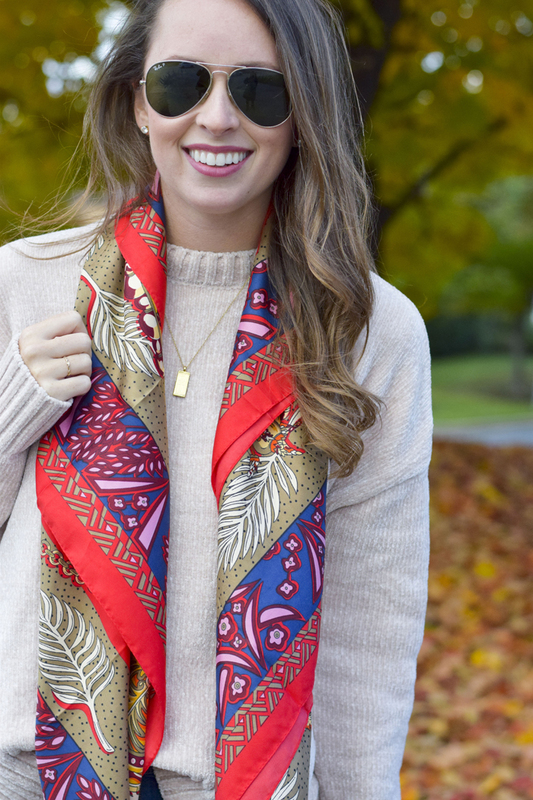 This scarf OR sweater would be the BEST Christmas gifts for anyone on your list!! My mom approves of the scarf (she bought a couple for friends) and my grandma bought the sweater with me ;) all ages approved! 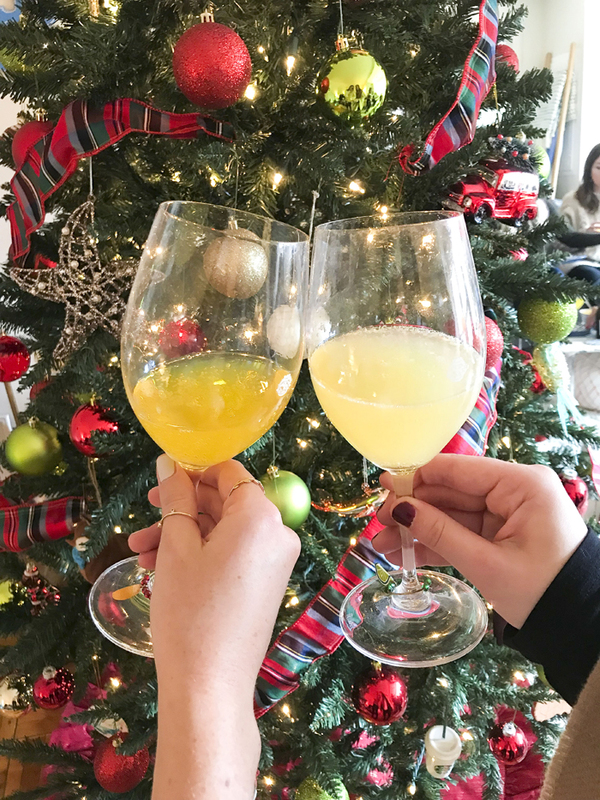 Two weekends ago I hosted a brunch for some of my blogger babes before we headed out to some VA wineries! I have never had all the girls over before (small space problems) so I knew it needed to be something easy to assemble versus lots of big platters of food or people coming in and out of my kitchen. 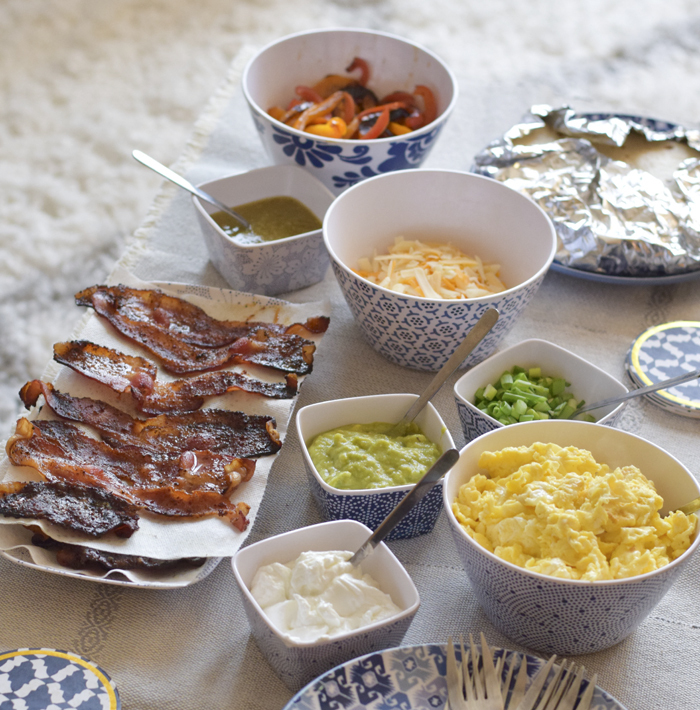 One of my favorite types of food is Mexican so I instantly thought of tacos - but with a breakfast spin! Easy for everyone to create their own and it didn't take up a lot of space on the table. 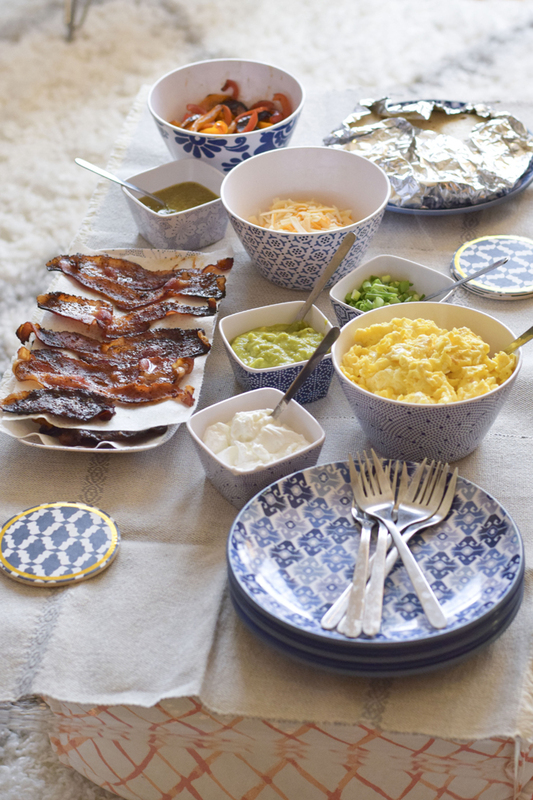 We all sat around my coffee table on the sofa and floor listening to music and made our tacos or egg plates while chatting. 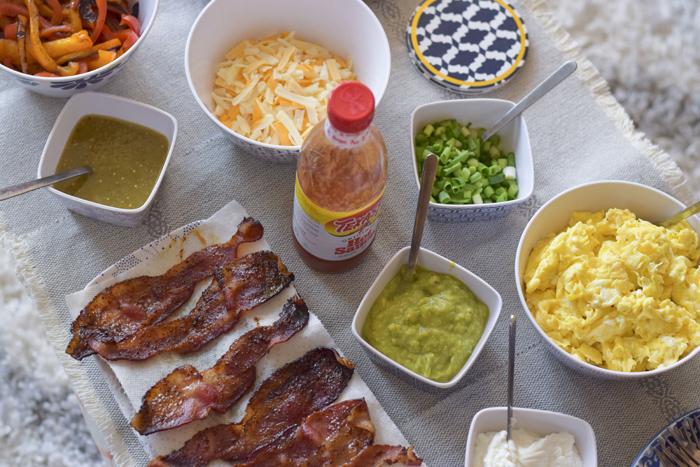 What's the best drink choice with breakfast food? Bubbly! 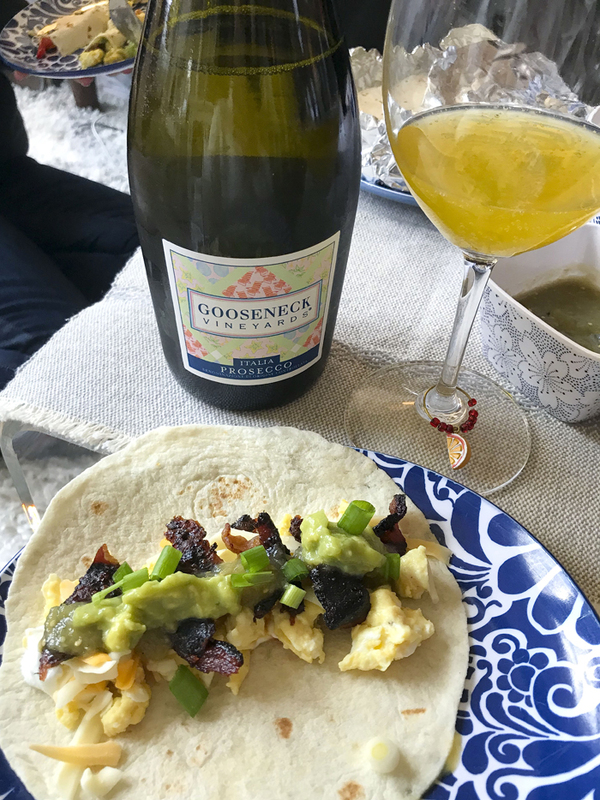 Everyone created their breakfast tacos and sipped on glasses of Gooseneck Vineyards! This may come as a surprise but I'm not a huge champagne fan. 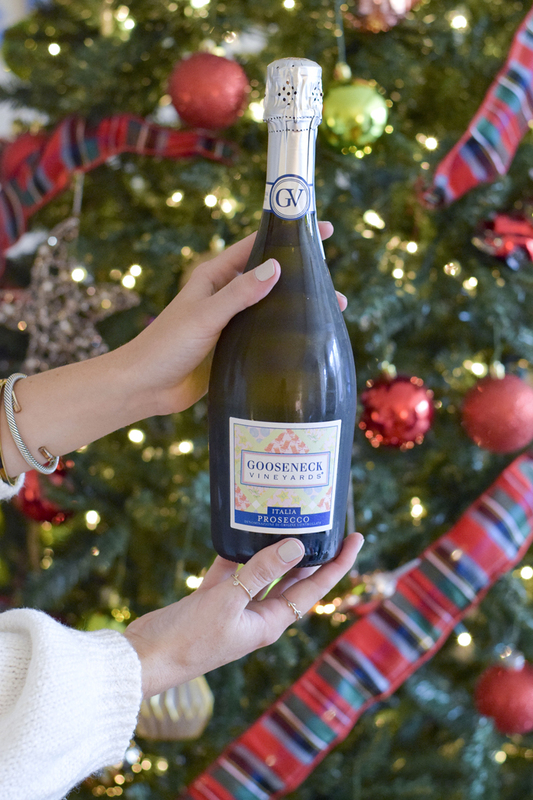 I find it to be too sweet normally, however, I absolutely looove this GV prosecco. It's so drinkable and pairs perfectly with anything (especially my bacon)! We started off by mixing some Orange Juice with it and then opted to drink it plain - too good! 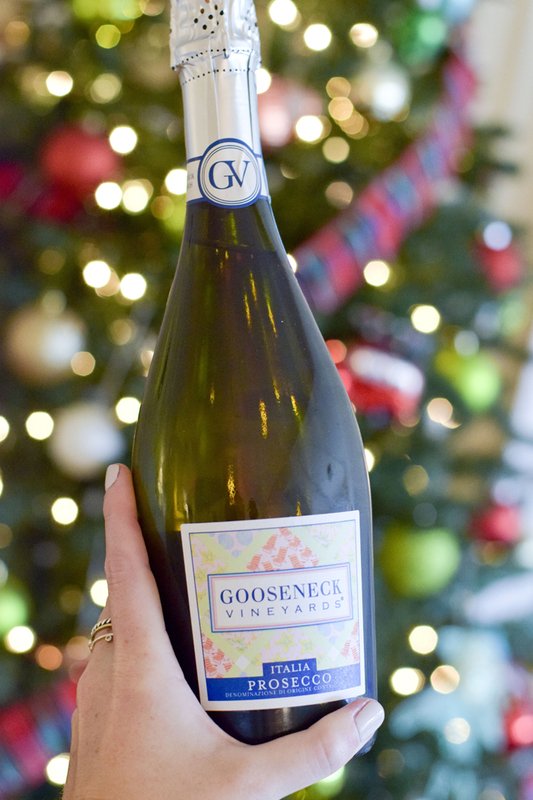 Y'all have to try Gooseneck Vineyards - you can find a location near you here. If you're in the DC area you can purchase at Potomac Wines & Spirits in Georgetown. You just have to ask them to order it for you! Psst this board is shoppable... just click on any item to purchase! 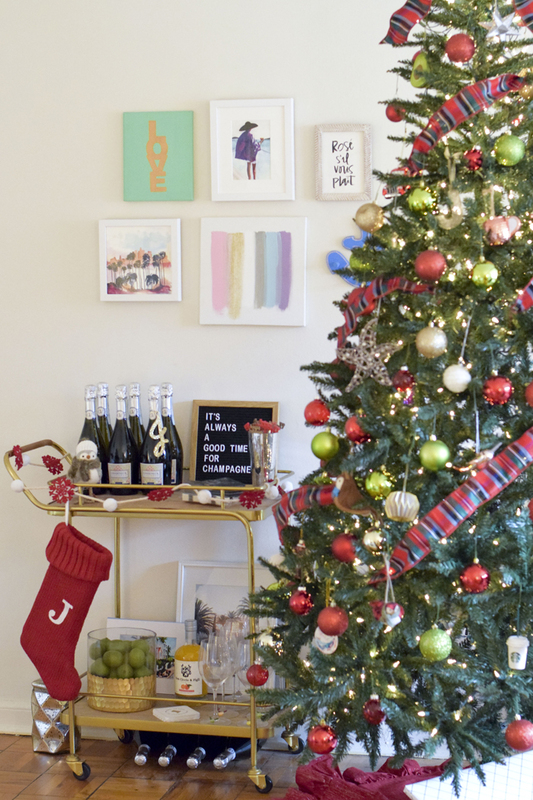 It's time for the season of parties and gift giving and merry making! Our gracious hosts deserve a little thank you for cooking delicious food and serving tasty cocktails. Showing up with a bottle of wine or assortment of cheese is wonderful but adding a simple personal touch really shows how grateful you are! 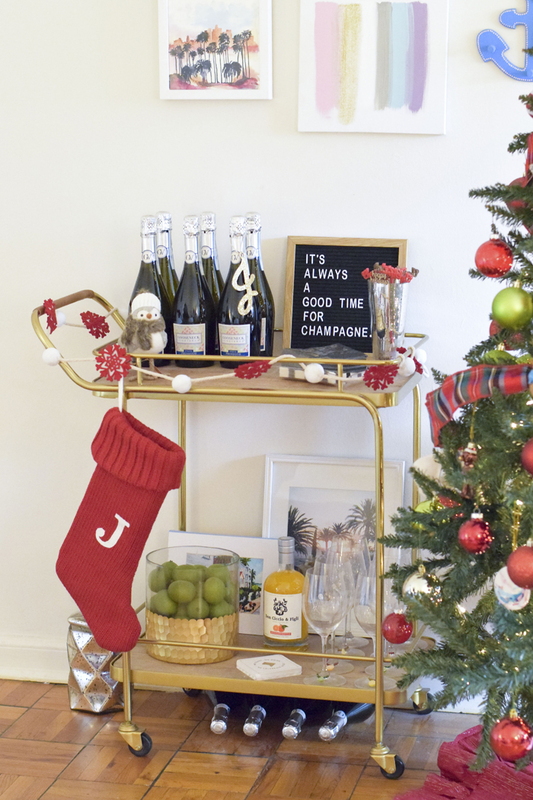 My favorite party trick is to buy an ornament (an initial or something that reminds me of my friend) and hang it around the neck of a bottle of wine. A couple of the ornaments on my tree were "party tricks" from friends and I think of them every time I see it! Cheese Markers - $26 // I fell in love with these the second I saw them! I love picking a variety of cheeses for my guests but have never found a cute way to label them. These little goat, cow, and sheep shapes say different things like "blue" or "stinky" on them as a cheeky way to let your guests know what they're tasting! Marble Initial Wine Stopper - $19 // The perfect wine drinking accessory that every hostess will use for years! Picking out their initial (or last name initial for a newlywed) shows that you bought it just for them. Capri Blue Candle - $21 // One of my favorite candles and this is a special edition jar - so gorgeous! I was given my first Capri Blue candle as a bridesmaid gift and I always keep one on hand bc the smell is just incredible. Acacia Wood Cheese Board & Cheese Knives - $49 // If you have a mother or mother-in-law that loves to host this is a perfect present. I love that everything is kept together neat and safe so pulling a cheese board together quickly is easy! No searching for cheese knives! Dinner Diaries Book - $50 // I was given this as a gift and have been fascinated reading through it. 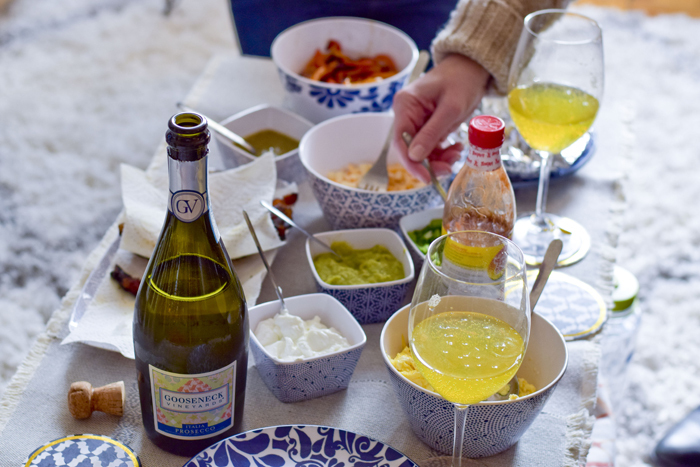 For someone who loves to throw parties it's really neat to see what others have done, their favorite appetizer, and even see photos that provide a glance into upscale dinners. Serving Spoons - $26 // Simple, beautiful, and I feel like you always need classic serving spoons when family is over! 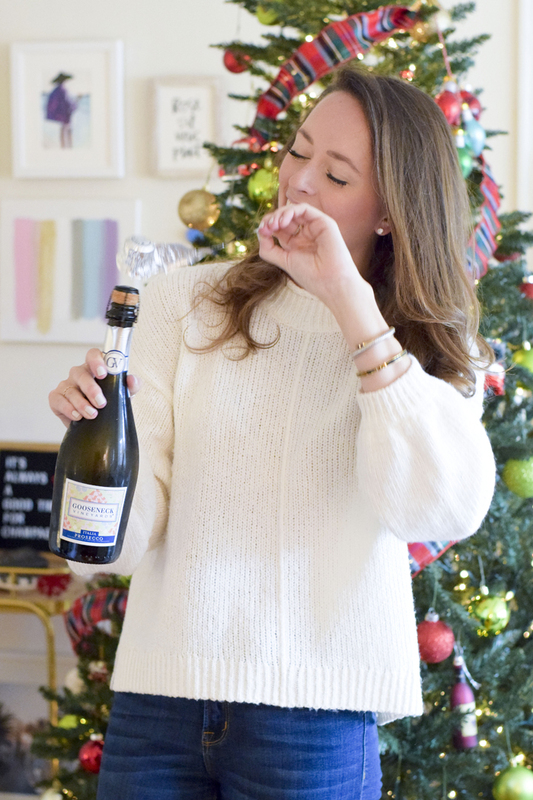 Beaded Monogram Ornament - $10 // Add this ornament onto a bottle of wine and you're doing double duty with a gift tag and a personalized touch! Set of 3 Wine Phrase Totes - $18 // Keep one for yourself, give one to a host, and then the third to your mom for hosting the family Christmas dinner! Decanter & Whiskey Glasses Set - $40 // I own this style of stemless wine and stemless champagne glasses and can't get enough of them (thanks Katie)! I use them year round and they are so gorgeous. 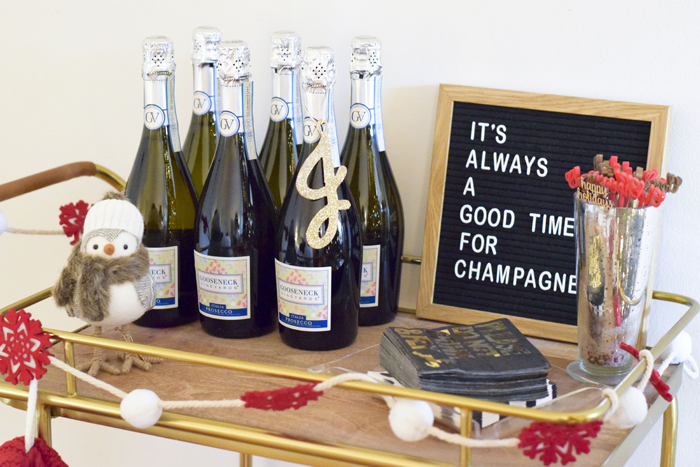 I love that this comes in a set with the decanter - instant bar cart decor! Copper Wine Charms - $9 // Never lose your glass with these adorable charms. I use them on my wine glasses so everyone knows which drink is theirs. Set of 6 Napkins - $32 // Napkins that look cute in the kitchen, on the table, and help your host clean up - winning! Variety Mask & Exfoliating Pad Set - $22 // You probably weren't expecting this on the gift guide. 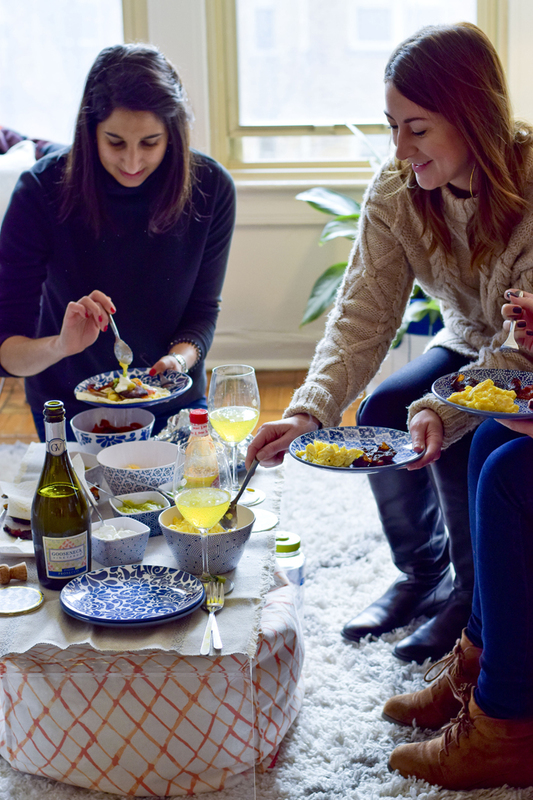 But after planning, cooking, and entertaining your host will be grateful for some R&R at the end of the evening. Wood & Marble Coasters - $47 // Something that never goes out of style and looks good sitting out. I have one of these on each of my bedside tables for Kyle and myself! 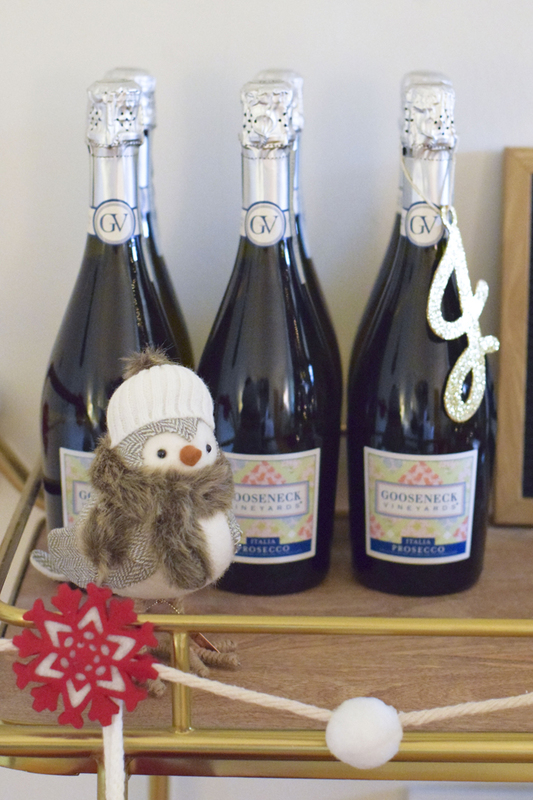 Copper Champagne Stopper - $8 // I added this to my wish list this year! It's rare that I don't finish a bottle of champs but this is still nice to help keep those bubbles fresh while guests are refilling. La Panier Two Section Server - $68 // I just think this is the most beautiful serving dish. 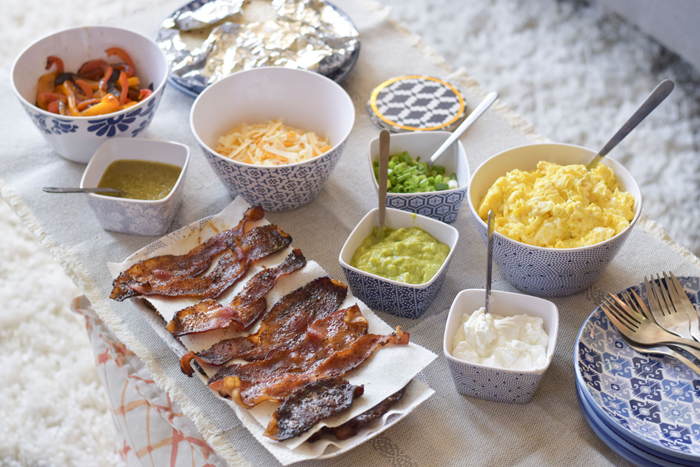 Perfect for dips, crackers, or candies! I even think it would be stunning to use on a nightstand as a catch all for jewelry. I'm sharing some more ideas listed below! IT'S HERE!! 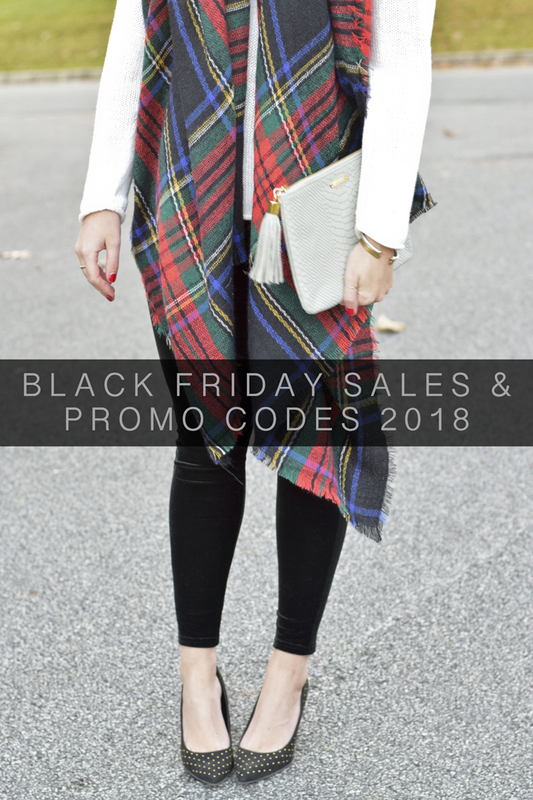 The massive list of Black Friday Sales, Steals, Deals, & promo codes... 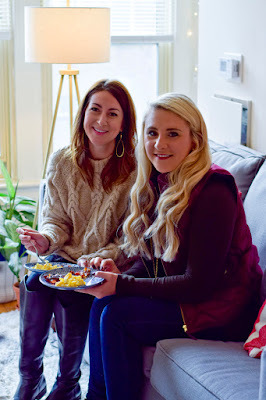 It takes a lot of time to pull this together and compile this list so I hope you enjoy shopping online from the comfort of home in your pajama's ;) That's what I'll be doing today! 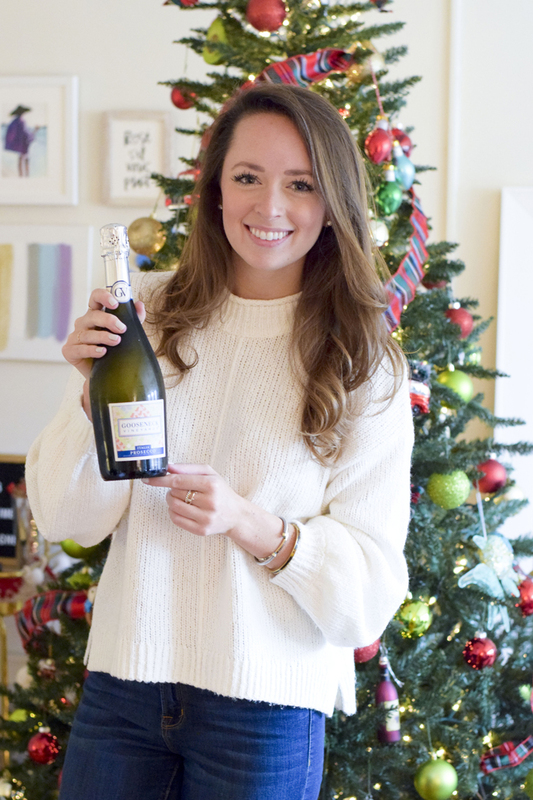 If you need some gift inspiration be sure to check out my Gift Guides. Hapy Shopping, friends! What is on your Christmas list this year? I'd love to hear your suggestions on gift guides as well! Let me know in the comments below! 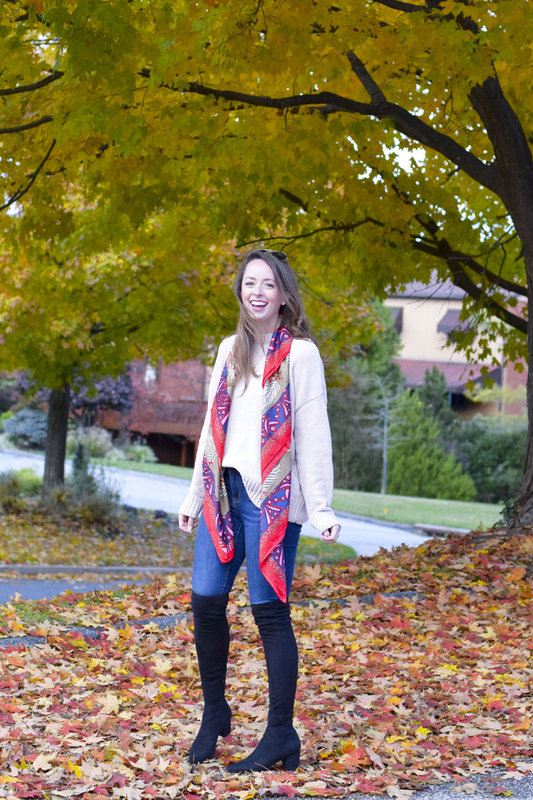 Psst this board is shoppable - just click on any item to purchase! 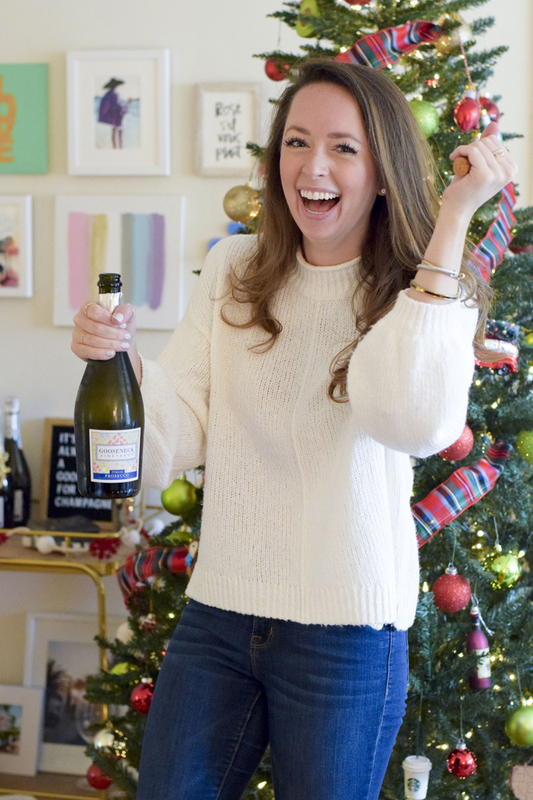 With Black Friday and Cyber Monday coming up this week I wanted to create a gift guide with those splurge worthy items that everyone adds on their list even if they know they aren't going to get it. It's fun to dream big a little on Christmas! 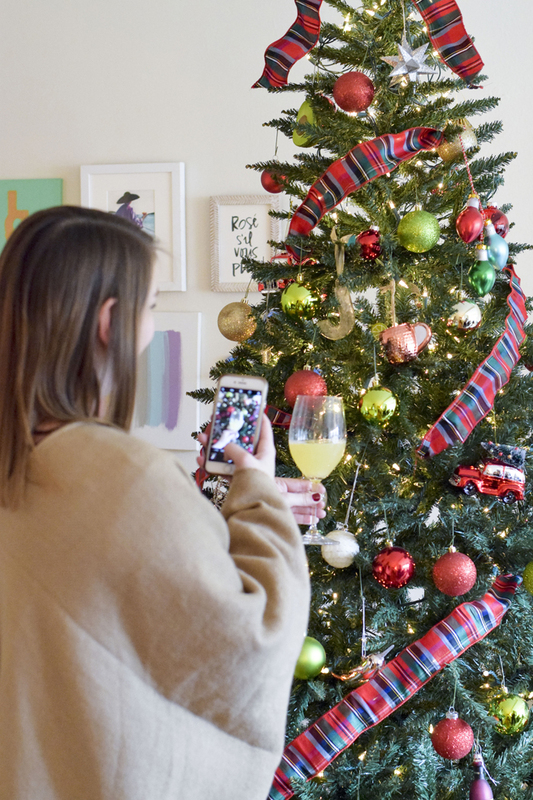 This gift guide is coming at ya early in the season because a ton of stores have insane deals and THIS is when you want to buy that big ticket item!! Who wants to buy something full price?! Not me. I can proudly say that I wait to even buy gifts like Tory Burch boots for myself until they go on sale during the holidays because I know that will be the highest discount offered. I took a poll on Instagram yesterday asking y'all what the most expensive thing was that you bought for yourself or for someone else - and don't regret at all! I got a lot of the same answer: designer purses/wallets, Barbour jackets, and nice jewelry! Spot on folks. I added in some technology pieces that myself or Kyle has used constantly. I feel like technology always has incredible sales on Black Friday so this is what I would keep an eye on the most! Designer bags like Louis Vuitton probably won't go on sale but it's a classic piece that any girl will love for years to come (my LV bag was a hand me down and I treasure it)!! Shinola Watch // You probably thought I was going to include a Rolex for a men's watch ;) I included this high end watch because I love all of the different bands, sizes, and watch face options available. The store is all American made based out of Detroit. Almost every man in my office wears one and this particular style is what Kyle wears. I can't get enough of it - I think it's so handsome and I love that it's made in the USA. There's a store in DC on 14th street where you can get it monogrammed as well. LL Bean Boots // This gift would be great for him or for her. The leather is all hand stitched and you can buy them insulated or not! I received these as my big Christmas gift last year from Kyle and they've been amazing. Perfect for the rain or snow! They're really comfortable, super warm, and stylish all at the same time! Barbour Coat // This gift would be great for him or for her. Such a classic coat that will never go out of style. The wax coating on this jacket makes it waterproof and super warm - you can even zip a vest inside for additional warmth. It's highly durable and mountain man approved haha plus, there are lots of pockets. Cashmere Scarf // Whenever somebody asks me a nice gift to give their mother-in-law, wife, or grandma my first suggestion is always cashmere. It's luxurious without breaking the bank and it's not too personal where you kind of miss the mark on a gift. 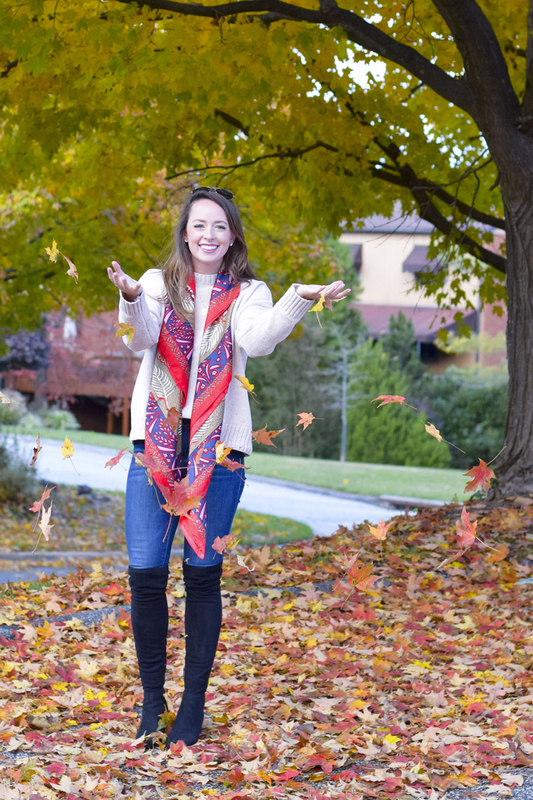 I guarantee you every woman in your life would love to receive a cashmere scarf! Front Loading Toolbox // What guy doesn't love stocking his garage with tools? Okay so that's kind of presumptuous but I received a couple of DM's from guys saying they would splurge on tools or that they'd like a new wrench set, etc. I don't know the first thing about power tools or Home Depot so this seems like a practical way for us gals to check off the tool-loving guy gift! This toolbox is handmade and hand spot welded in the USA from powder-coated steel. Nest Hello Video Doorbell // This gift would be great for him or for her. I have a couple of friends who use this and they love being able to monitor the activity at their front door while they are away or at work. If you have a family member or friend that lives alone and they don't want to answer the door late at night they can check to see who it is. It's also a great method to prevent packages from being stolen - which is sadly becoming a thing around the holidays! Yeti Cooler // This gift would be great for him or for her.All of my friends in Florida who own boats legit only use Yeti Coolers... it seems to be a way of life but they are hands down the most durable and best coolers on the market. They keep ice in its solid form even if it's sitting in the hot sun all day! Yeti also makes amazing tumblers, koozies, and glasses - perfect stocking stuffers (I use my tumbler for traveling to work every single day. My tea is still hot when I sit down at my desk). 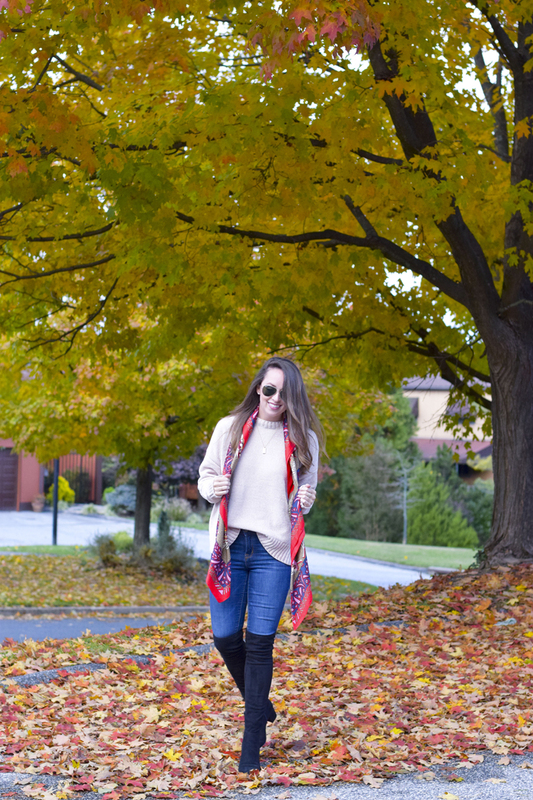 Tory Burch Riding Boots // I've said this in blog posts before but Tory Burch boots are worth every penny. Even my mom and grandma own a pair and wear them all Fall and Winter! The leather is amazing and the design of the shoe is incredibly comfortable. Bose Bluetooth Speaker // This gift would be great for him or for her. Perfect for someone who loves to listen to music at all times. This size travels well and Bose is the best rated speaker on the market! Apple AirPods // This gift would be great for him or for her. I think this is going to be the most requested item from people this year. Having your phone be hands free and no cords getting in the way is amazing. I think one of the coolest features of these AirPods is that they charge when they're popped into the case. If you need to charge the case you just keep the pods in there and plug the whole thing in! I've asked Apple fans if they stay in while you work out and everyone has said yes! David Yurman Ring // Classic designer jewelry that she'll wear for years... I wear my bangle every single day and have had this crossover ring on my Xmas list for three years in a row now haha. I love the mix of silver and gold so that you don't have to guess which metal someone wears more! Canon Powershot Digital Camera // This gift would be great for him or for her. So many people document travels and day to day on their phone and then don't do anything with the photos. I've found that if I take photos on a real camera I'm more likely to edit them and then do something with it. I've been lusting after this camera for awhile because of it's size and power - perfect to travel with and a lot more advanced than just your typical point-and-shoot digital. It's not a DSLR so even the most novice photographer can step up their game!